WIN $1000 and other fabulous prizes! 2017 Best of Port Winners! 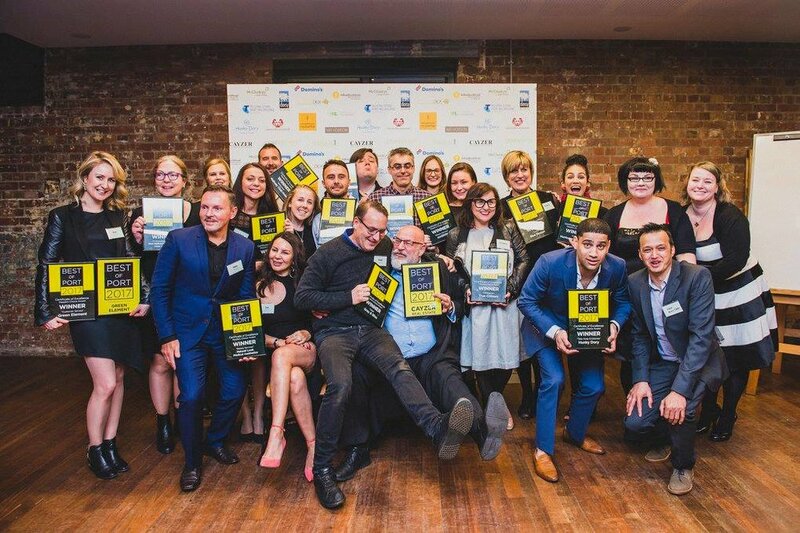 Now in its sixth year, the annual ‘Best of Port’ awards acknowledge and reward outstanding businesses within Port Melbourne. Proudly presented by the Port Melbourne Business Association (PMBA) with the support of local businesses, this fantastic evening for Port’s premier businesses is back in 2017 with a host of prizes and giveaways! Presented at a spectacular evening of celebration in one of Port Melbourne’s premier venues, the Best of Port event is attended by some of our best and brightest councillors and policy makers. Find out more about the Awards Evening! With 11,420 votes submitted, 342 businesses nominated in 12 categories in 2016, the Best of Port awards are an important part of recognising the tireless work of the local traders and businesses that make Port great! Every vote placed during the Best of Port voting period (Starts 24th July and closing on the 20th August ) goes in the draw to win one of many great prizes! So get out there, find a Port Melbourne business that makes you smile, and vote for them in this year’s Best of Port. Competition is closed, thank you! By signing up your email address you agree to receive emails about community events and offers available in Port Melbourne. We will NEVER share your email and you may unsubscribe at any time.